You may have noticed a notable decline in your search engine rankings despite adhering to all the white hat SEO techniques. As a result, your business is reeling from the loss of revenue and efforts to recover your site’s rankings are not producing any results. 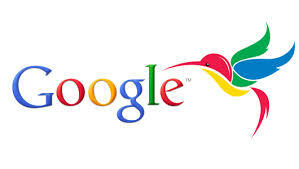 If so, then you need to know that you may be experiencing the effects of the Google hummingbird Algorithm. While many people see it as a penalty owing to its effect on search engine results, it is not. Google hummingbird algorithm presents a shift from keyword-based searches to conversation bases searches that give results for the meaning of a phrase. In short, Google hummingbird moved to improve the understanding of search queries by incorporating understanding in organic search engine results. Thus, Google understands search queries better than before. This was motivated by the fact that many users of mobile devices prefer to use voice searches as opposed to typing. This algorithm comprises of over 200 factors hence can analyze the words in a search query to figure out the exact thing that a user wants. It also knows the search history of users hence can know the links that users are likely to click. The third thing that this algorithm does is know the location of the user and can know the best optimized restaurant for pizza that is nearest. If you have been affected by the Google hummingbird penalty, you can enlist our recovery services to restore your site back. We are a team of SEO professionals that are committed to restoring your search engine rankings by optimizing your website for hummingbird. To achieve this, we will carry out a semantic analysis of your content, optimize your site for mobile as well as voice searches, check navigation and link coming to the site, and analyze current content. This will ensure that your site is linked to only high quality inbound links, optimize locations for searches, and develop unique content that focuses on the best wording for the best results. Our fast and reliable Google hummingbird recovery service will ensure that your site is back in the game within the shortest time possible. We will not only restore the site’s rankings but also re-establish the site so that you will not worry about losing revenue. Get your hummingbird penalty recovery started today by filling out the penalty discovery form and we will restore your site’s ranking.